You can improve your cash rewards to 1.25%, please see the card issuer website. There is no balance transfer fee of Capital One Journey Card. No foreign transaction of the card. Cash advance fee is good. You can improve your credit line after 5 months payment in time. High balance transfer, purchase and cash advance interest rates can be serious problems. Maximum cash advance fee is good but minimum fee is high. 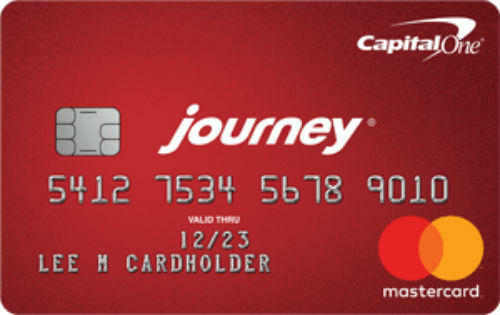 Capital One Journey Card is student credit card that you can apply if you are older than 18 year-old. The card has disadvantages and also advantages. We are going to mention about all facts of this card on the review below. Interest rates for balance transfer, cash advance and purchase are very high. 26.99% can be serious trouble for you when you are paying your debts back. Besides there is no introductory period of the card. 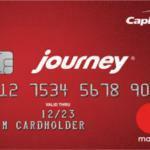 Since Capital One Journey Card is for students, we believe that it should be helpful more about interest rates. There is no annual fee of the card. It is one of good features of the card. So you are not going to pay yearly for it. This is a good feature for a student credit card. There is also no foreign transactions fee of Capital One Journey Card which will be important at foreign payments. Cash advance fee is reasonable rate at the moment. 3% rate is very good. There is no bonuses for the card. We don’t also expect bonuses in student cards. 1% cash back for student cards is average yet. You can see rates and fees of the the card below. It is a card with high interest rate and no introductory APR. You can find more beneficial cards for students from other companies. We recommend you to not to apply for this until you have no choice at this situation. If CapitalOne makes change on rates and fees, we are going to update this review and thoughts. If you already use Capital One Journey Card and if you would like to review it, please leave a review. You can also find other user reviews below.